Statewide Coverage: Our firm can cover assignments in Philadelphia, Harrisburg, Pittsburgh and anywhere in between. 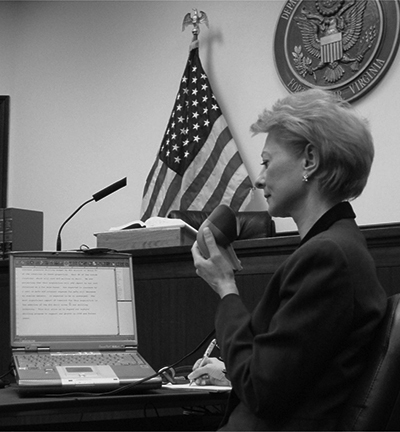 Administrative Hearings: We have over 35 years of experience providing stenographic services for a wide variety of Commonwealth of Pennsylvania administrative agencies. Depositions: Our Notary Reporters can administer oaths and provide verbatim transcripts of your depositions and sworn statements. Arbitrations and Mediations: Commonwealth Reporting stenographers expertly report and transcribe colloquy discussions. Public Hearings and Meetings: Commonwealth Reporting stenographers are experienced in identifying speakers and reporting comments at even unruly hearings and meetings. 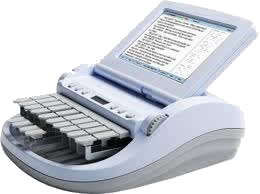 Stenotype or Voice Writers: It's your choice, our firm provides both services in all parts of the Commonwealth.